This year, we raised $125,000 for our programs and celebrated with 300 old and new friends at the Fairmont Pittsburgh for Circle of Hope 2018! 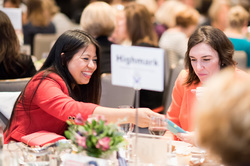 Our 2018 Women of Courage shared their inspirational stories with us, and we heard meaningful words from awardees Lora Dikun of Giant Eagle and Kristen Bell of Comcast. It was truly an evening to remember. 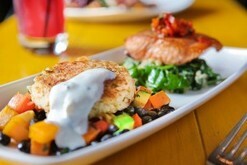 For more information and photos, click here! The Highmark Walk for a Healthy Community is an annual opportunity for our organization's supporters to walk (or just fundraise and help spread the word about our programs) in the spring sunshine together. This year, the Walk took place Saturday, May 12, 2018, at Stage AE on the North Shore. We raised almost $7,000, plus the proceeds of all our wraparound fundraisers, and had 9 walk teams and 50 registered walkers. 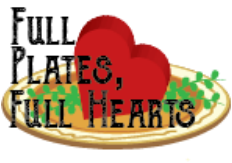 This year, our annual restaurant fundraiser became a whole month of fabulous prizes: Full Plates, Full Hearts: FULL THROTTLE! Each day of the month of February, a winner was selected to win one of our 28 prizes, including gift cards to food and retail, $100 worth of fine dining, and $500 jewelry gift cards to Orr's Jewelers! For more information, click here! We exceeded our fundraising goals and celebrated the past year's achievements with over 300 old and new friends at the Fairmont Pittsburgh for Circle of Hope 2017! Our 2017 Women of Courage shared their inspirational journeys and some encouraging words, as did Circle of Hope Awardee Tacy Byham of DDI. We also gave our master teacher, Nieves Stiker, a Lifetime Achievement Award! For more information and photos, click here! Each spring, our supporters lace up their running shoes for the Highmark Walk for a Healthy Community. The 2017 Walk took place Saturday, May 13, 2017, at Stage AE on the North Shore. We raised $10,000, plus the proceeds of all our wraparound fundraisers, and had 11 walk teams and 63 registered walkers. We raised $110,000 and celebrated the past year's achievements with 350 old and new friends at the Fairmont Pittsburgh for Circle of Hope 2016! 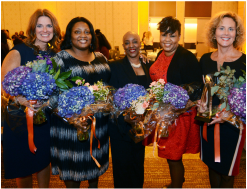 Our 2016 Women of Courage shared their inspirational journeys and some encouraging words, as did awardees Vicki Henn of PNC and Mary Lee Gannon of UPMC's St. Margaret Foundation. A wonderful time was had by all. For more information and photos, click here! 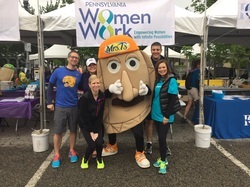 On May 14, 2016, Pennsylvania Women Work was one of 72 community service organizations to participate in the 2016 Highmark Walk for a Healthy Community. Staff, CAC members, and volunteers drew friends and family into the fun to meet our fundraising goal of $10,000. The walk gave staff the chance to do some new community outreach, and gave everyone an opportunity to get some exercise and fresh air together! Pennsylvania Women Work celebrated its 15th annual Circle of Hope event on Thursday, October 1, 2015 at the Fairmont Hotel in Pittsburgh. This year, UPMC's Leslie C. Davis, Senior Vice President, Executive Vice President and Chief Operating Officer, Health Services Division,​ received the prestigious Circle of Hope Award. Beth Caldwell, the founder and executive director of Pittsburgh Professional Women, was honored with the Honorary Woman of Courage Award. Pennsylvania Women Work was thrilled with the turn out for the 2nd annual Casino Night. This year's event was held May 20, 2015 at Static Nightclub in Pittsburgh's historic strip district. 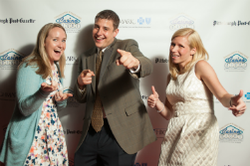 We'd like to thank the Casino Night Committee, especially this year's co-chairs Kerry Byrne, Lindsay McIntosh and Adam Vranesevic for their generosity in planning this event! On April 13, 2015 over 100 Pennsylvania Women Work and New Choices participants and supporters went to Harrisburg, PA to advocate for women's employment rights and the importance of New Choices. Three New Choices students were also recognized for receiving the Stephanie Beavers Davis memorial scholarship. Pennsylvania Women Work celebrated its 14th annual Circle of Hope event on Tuesday, October 21, 2014 at the Omni William Penn Hotel in Pittsburgh. This year, Evan S. Frazier, Senior Vice President, Community Affairs, Highmark Health received the prestigious Circle of Hope Award. Linda Dickerson, Principal and Founder of 501(c)(3)2, was honored with the Honorary Woman of Courage Award and State Representative Jerry Stern was awarded the Humanitarian Award, Champion of Women's Employment. This event was hosted in May 2014 at Whim Nightclub. The evening featured casino games, a live DJ, food and drinks, plus fantastic raffle prizes and giveaways! Pennsylvania Women Work thanks the Casino Night Committee, especially Lindsay McIntosh, Adam Vranesevic and Kerry Kiley, for their generosity in planning this event! The 13th Annual Circle of Hope event was held on October 24, 2013 at the Omni William Penn Hotel and recognized Morgan O’Brien, Chief Executive Officer of Peoples Natural Gas as the Circle of Hope Honoree. Dr. Cynthia J. Gormley, Community Resources Specialist at the Department of Community and Economic Development, was also honored with the first-ever honorary Yvonne Zanos Woman of Courage award. A big thank you to our Honorary Co-Chairs: Lisa Peters, Chief Human Resources Officer and Senior Executive Vice President of BNY Mellon, and Richard Riazzi, President and Chief Executive Officer of Duquesne Light. 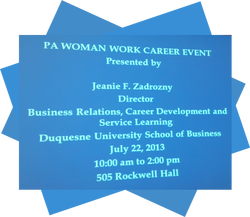 This event was hosted in July 2013 by Duquesne University and featured a presentation from Jeanie Zandrozny, Director of Business Relations, Career Development and Service Learning from the Palumbo Donahue School of Business. Pennsylvania Women Work thanks Duquesne University for their generosity in providing the space and expertise for this event! This event is now closed, but you can learn more about the topics covered here. Through the generosity of the Big Burrito Group, Pennsylvania Women Work hosted a networking and fundraising event at Mad Mex in Shadyside in February 2013. This event raised funds to support Pennsylvania Women Work and our New Choices program. Pennsylvania Women Work would like to thank the Big Burrito Group and Mad Mex for their support in facilitating this event! This event is now closed, but you can learn more about it here. 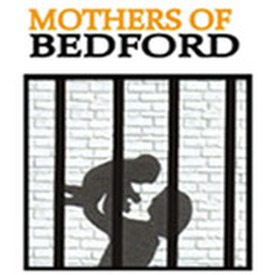 In November 2012, Pennsylvania Women Work, in collaboration with Pittsburgh Filmmakers, hosted a screening and brown bag lunch of Mothers of Bedford, a documentary by Jennifer McShane that chronicles five women and their relationships with their children as they serve time in prison. The screening also included a Q&A with Ms. McShane and one of the women featured in the film. Pennsylvania Women Work is grateful to Pittsburgh Filmmakers and Jennifer McShane for helping us to make this event possible! This event is closed, but you can learn more about this touching documentary and the need for women to have contact with their children while they serve their time by clicking here.